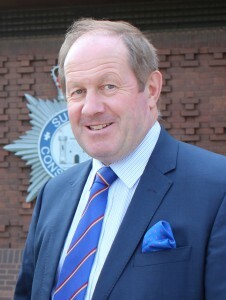 Tim Passmore, the Suffolk Police Commissioner, who put cybercrime on his election manifesto: “it’s a serious, serious issue, millions of crimes each year and of course the cost to the UK economy is estimated to be £193bn, a year that’s the equivalent as far as I can see of two National Health Services. It’s huge and we’ve got to deal with it,” said Passmore, who said that Suffolk and Norfolk police were now reorganising in an attempt to head off the crime wave. “Just over a year ago we set up a new cybercrime unit here in Suffolk which we run jointly with Norfolk, and that is to look at the local dimensions of what we can do, raising awareness of online security to pick up that local intelligence, that then fits in with our Eastern Region operations unit and in turn fits in with the National Crime Agency. 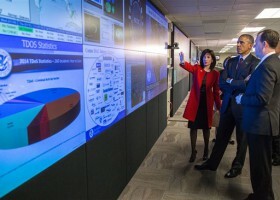 “So you need a three stage approach, from global to local and we’re doing our part but of course the demand is huge and we’re already looking to invest yet more money into bigger data intelligence capacity and so on so that we are able to combat the criminal activity that sadly we have in our midst,” said Passmore.